For me, freedom is to decide for yourself how to use your time. Money is just a tool of exchange because money does not have any real value in itself. Ninety-eight percent of money in the world is nothing more than numbers registered in banks’ computers and the remaining 2 percent is circulating in metal coins and paper notes. When we work only for money, we are exchanging our time for virtual numbers and paper notes. But money in itself is neither good nor bad. It is our relationship with money that gives it power in our lives. Let’s see what it means to make money and spend money related to time, which is the most valuable thing we possess. Making money is like buying your time. This is the idea behind the book “Early Retirement Extreme.” It is all about extreme saving to buy all possible assets that will allow us to freely manage our time. According to Jacob Lund Fisker, the author of the book, if you multiply your expenses by 25 and the resulting amount is less than your net worth, then you have financial freedom. He understands time is the real currency and now he spends time as he wants. This means making decisions about where to live and when you would like to go on vacation without asking permission from anyone. Spending the money you have left is spending in a controlled way, which allows you to purchase things you enjoy, need or even to buy more assets to increase cash. When you save, invest or buy assets, it’s like you are lending money to the bank and you get it back with interest. In fact, it is actually so. While your money is in the bank, you can get periodic returns if you invest it. To spend the money you do not have is to go straight into the danger zone. Spending without controlling your budget or without even looking at the credit balance of your account is stepping into debt slavery. 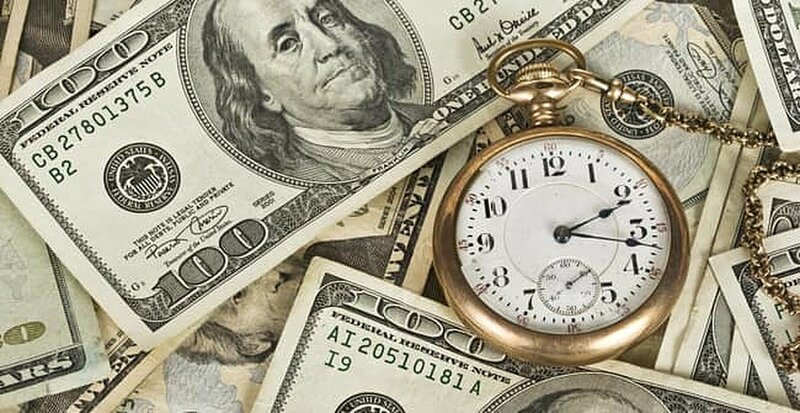 Just see it this way: If time is the real currency, then you are losing your time or giving it away in exchange for something that maybe you didn’t even need. When you borrow money, it is like mortgaging your future, which is a time you have not worked for yet. Many of us have been through this, and we must not despair about it too much because we will eventually come out of debt if we decide to do so. However, we have to make a firm decision to not waste life in such a stupid way. It is better to learn to control your money than to owe it to the bank and pay negative interest for many months. This does not mean you cannot have things you want or like, but this does mean you don’t need all of the things you want at the same time. You need to discover a new way to buy. If you can afford monthly payments to pay off five years of credit, that means you have enough money to have saved at least that much. You need to learn the new habit to save a little each month. Set it aside so cash is available when the time comes and you can pay entirely what you bought or at least advance an important amount to reduce the credit to the maximum. Our level of time is directly related to our level of freedom. You cannot decide how to spend your time. You have to ask permission and give explanations to go on vacation. You justify any absence and you cannot decide in which city to live. Your job is very demanding and you think you are indispensable. You have a choice as to how to spend your time, and you can be absent for a period of time by preventing yourself from being mentally away. Preventing is not the same as asking for permission. You can decide where you will work at least part of the time and you can organize things for teleworking. You move at will with very few limitations. Ah! This means you are earning your living without compromising your time. You take a few small obligations and there is no way back. You spend your time on doing the things you like, which is your top priority, and you’re creating a life of abundance. Maria Mol is a motivational writer and a programmer who lives in Paris. She writes about changing our inner beliefs about money to achieve financial security and live debt-free. Learning a new financial education and personal development go together, so we need inspiration to explore a better way to our freedom. Visit MoneyAndPersonalDevelopment.com or contact her on Google+ for more.